With all of the press around the negative effects of pesticides, homeowners now have more concerns than ever about the products applied to their lawn. Like many others, you may worry that a build-up of toxic chemicals could pose risks to the health of children and pets, as well as potentially damage plants in the surrounding area. Fears like these have prompted the shift to organic lawn care management. Consider the use of fertilizer as an example. Whereas synthetic fertilizers have traditionally been used to ward off weeds and disease and boost lawn health, organic lawn fertilizers that contain natural ingredients have joined the stage as what’s presumed to be a safer alternative. Yet, organic lawn care—organic lawn fertilizer included—does not always mean safer. As we’ll describe here, there are ways to achieve a balance between synthetic and safe. In its most simplistic form, organic lawn fertilizer refers to fertilizers that contain no synthetic products. The fertilizer is instead comprised of natural ingredients that are derived directly from plant and animal sources (i.e., compost and bone meal). Once organic lawn fertilizer is applied to lawns, soil microbes digest the product and convert it back into soluble nutrients, which plants can then absorb. 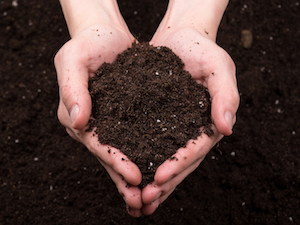 In other words, organic fertilizer acts as a probiotic that improves soil structure and enhances its health over time. This, however, can turn into a waiting game to some degree. After all, enough microorganisms need to inhabit the soil before the nutrients in organic lawn fertilizer can take effect. For this reason, these nutrients may not be available when plants need them and bare spots tend to remain longer than they would with synthetic-based fertilizers. Synthetic lawn fertilizers are usually comprised of three types of compounds: nitrogen, potassium and phosphorous. Nitrogen helps plants produce proteins to generate new tissues; potassium boosts the vigor of plant health, and phosphorous enhances plant root growth. In recent years, however, the industry has seen a rise in phosphorus-free fertilizers. And for good reason: Elevated levels of phosphorus in the soil can not only stunt plant growth by interfering with the absorption of other nutrients but also pollute water bodies with excess nutrient levels that produce algal blooms. The comprised nature of the water supply can cause illness to children and pets alike, as well as create a breeding ground for insects like mosquitoes that can spread disease. Yet if phosphorus plays a significant role in lawn health, doesn’t that mean that phosphorus-free fertilizers would be less effective? Surprisingly, no. By nature, most soils have the level of phosphorus they need to keep lawns thick and green—hence, the reason for the excess amounts of the nutrient in soil. At Weed Pro, we understand the importance of safety in lawn fertilization. That’s why we use a phosphorus-free fertilizer to blend the effectiveness of synthetic products with the initiatives to create a healthier environment. With a regular fertilizer program in place, homeowners like you can remain confident in the safety of our practices and maximize use of your outdoor space. To learn more about our fertilizer programs (with organic options included) and other lawn care services, connect with the Weed Pro team today.